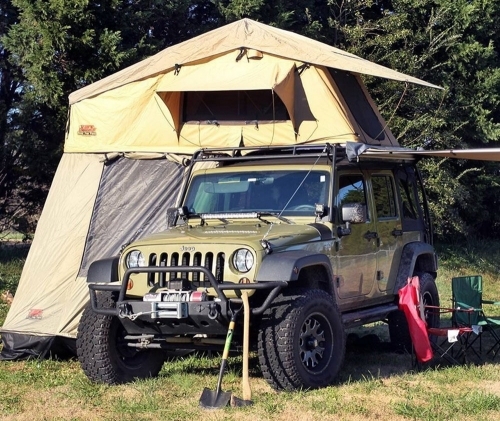 The Overland Rooftop Camping Tent with Annex Room, from Tuff Stuff, is a practical tent that you can attach to the top of your car. 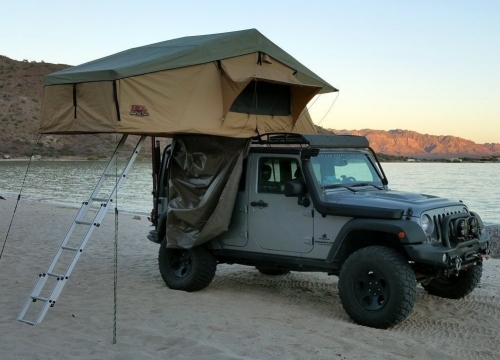 The Tuff Stuff rooftop tent is designed to provide the ultimate comfort, ease and convenience when traveling to the most secluded camping locations. 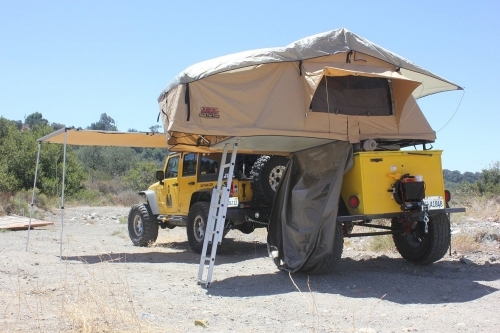 The Rooftop Tent can unfold in minutes with little to no effort, and takes no tools to setup. 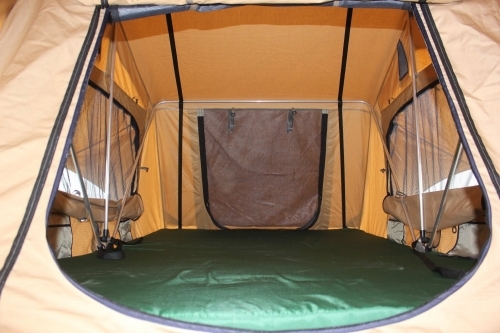 All bedding can be stored inside of the folding tent to free up valuable storage inside of the vehicle, and includes a thick foam sleeping mat pre-installed inside. The sleeping area is more than large enough for 2 full sized adults, plus the annex room can also accommodate a queen size mattress, mat, folding cot or a small dining table or chairs. The retractable ladder can also be folded away for increased space inside of the annex room. 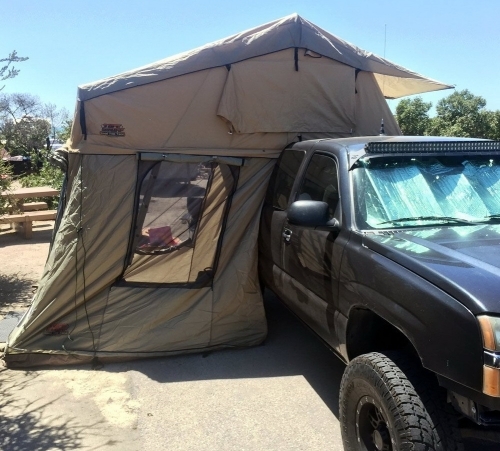 Recently i put my Coleman 4 person sundome tent on car roof top its damm awe.